At just $8, you will get a wristband to get into the door for this amazing event. 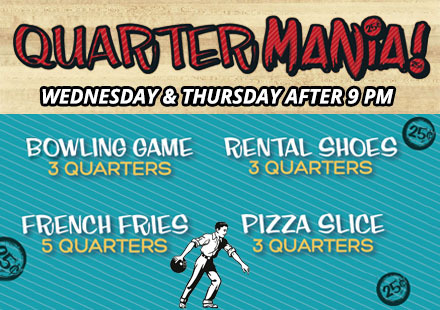 But don’t forget to bring your quarters with you! The waiting list is on a first-come first-serve basis. Monday: Noon to 1 a.m.
Tuesday: 9 a.m. to 1 a.m.
Wednesday: Noon to 1 a.m.
Thursday: Noon to 1 a.m.
Friday: Noon to 2 a.m.